Duplo Compatible Car Base 2 x 4 #3DPrinting #3DThursday « Adafruit Industries – Makers, hackers, artists, designers and engineers! MixedGears shared this project on Thingiverse! I was missing the base for it. 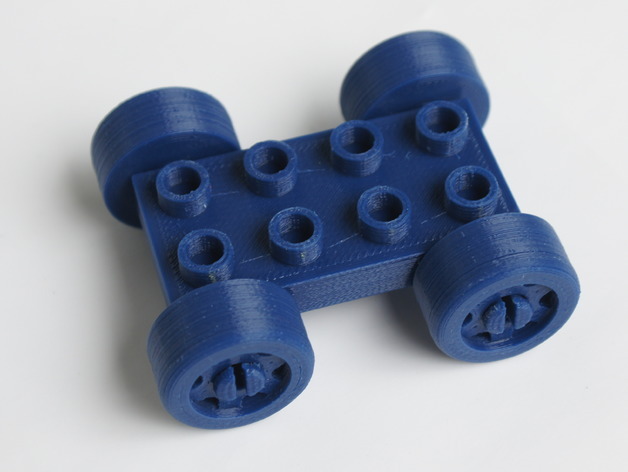 I designed the base in two version: all printed and version with a 3 mm rod for the axle. Both work fine, I’m actually surprised how well the all printed version does, wheels spin as crazy.